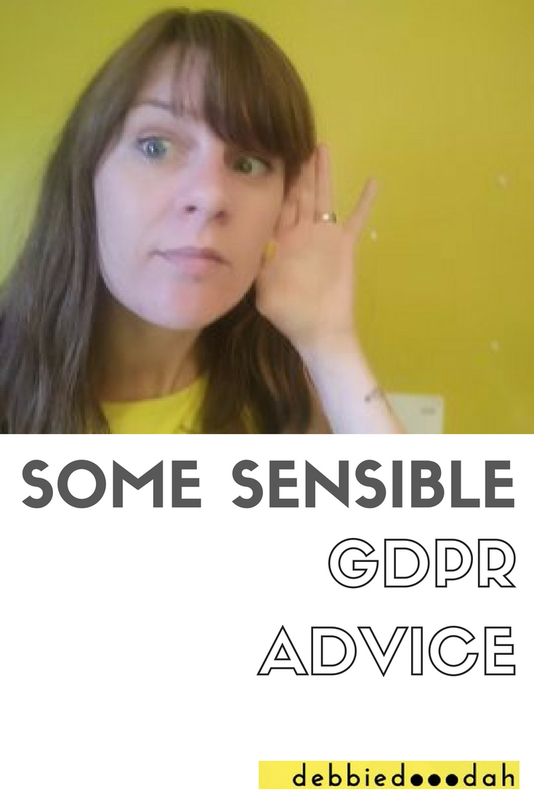 Anyone else been feeling a little stressed over the all the GDPR changes happening this year? There's been a lot of information and misinformation floating about over the past couple of months. There have been online courses about it, consultants paid, a whole new revenue stream created out of understanding these changes. I've heard of businesses decimating their email list with around 10-15% people choosing to stay on their lists. One consultant told me that I had to send out an opt-in email every 6 months if I wanted to be compliant. Meaning, in theory, every 6 months I would lose 90% of the email list I had worked so hard to obtain. Business Facebook groups have been filled with people panicked about what it means to their business. Desperate to stay on the right side of the law and not be party to fines of 20 million euros or 4% of your annual globe turnover (whichever is highest). Of course, that sounds terrifying. I mean if the ICO fined me 20 million euros my life would pretty much be game over! So I was so pleased to hear some sensible news on 9 July from a gentleman from the ICO on the Radio 4 You and Yours Programme talking about what the GDRP changes meant for business, and he said some pretty interesting stuff! 'There are various ways organisations may be able to send you direct marketing emails, clearly as you say consent does need to be unambiguous and does not to be a clear affirmative action, however, the law does recognise that if an organisation has gained your details during the course of a sale or negotiation of a sale of their products and services, they can have a legitimate interest in contacting you, but what they need to do is give you the opportunity to opt out and unsubscribe at every communication"
So what he's saying is that if people have bought your products or services or course it's reasonable to send them emails, just make sure you give them the option to unsubscribe. This is clearly a million miles away from the advice I've seen by experts across social media over the past few months, and it makes me cross that people have followed this advice and lost many people from their email lists. If only the ICO were clearer about this in the first place we might have spent a lot less time panicking and paying for consultants we didn't need. One of my clients likened it to the panic around the end of 2000, when we all thought the computers would stop and we would be in darkness. No darkness here, carry on as normal! What some straight talking business coaching (no panic included!) check out how we can work together to create some clarity & confidence in your business! Newer PostHow often should I post on Instagram?